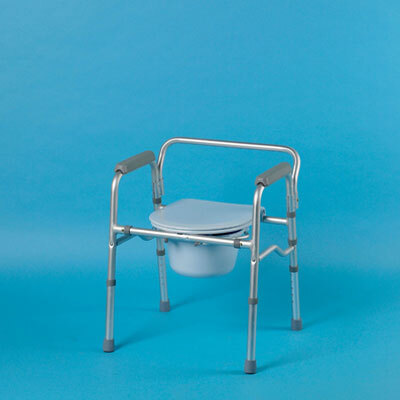 This foldable commode that can also be used over the toilet to suit a variety of environments. This foldable commode that can also be used over the toilet to suit a variety of environments. Armrests, commode pan and splash guard are provided. Adjustable seat height; 18 to 22"
Adjustable Seat Height 18 to 22"